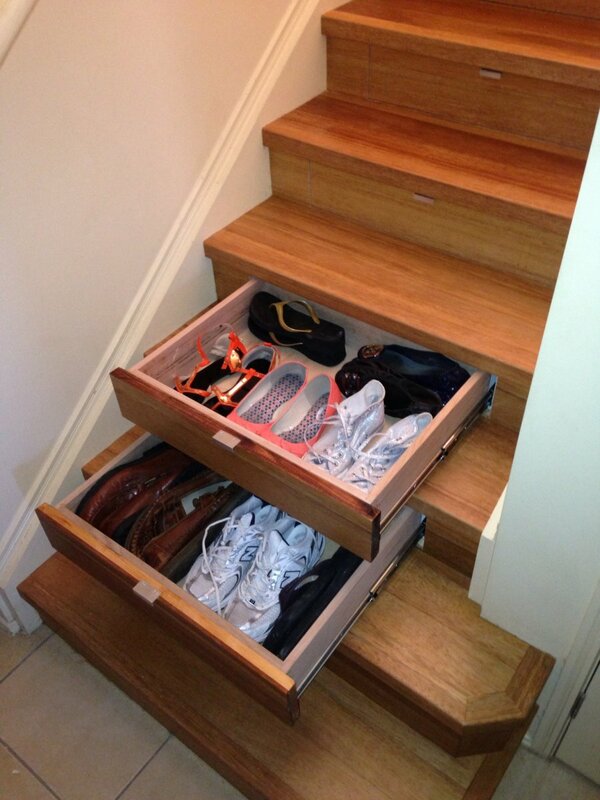 Stair Storage - InStep Drawer. Being well organised is about feeling good. Imagine knowing where you have left your keys yesterday or where you have stored your most important papers. Wouldn't it be great not having to worry about these things? Your belongings hold memories and clues to the story about you. Honor them by giving them a home in an InStep Drawer℗ where they can be protected. After all they are little pieces of your life. The Stairpro InStep Drawer℗ is an innovative storage solution that makes convenient storage of a once unusable space under the staircase. Make the most of your living space. The solid timber dovetailed drawers are designed to reuse the existing riser-board as the drawer front, they are smooth running, and are soft-closing. Perfect! Storage is incredibly personal. At least that's how we see it. That's why we designed the InStep Drawers℗ to keep possessions in order. We all have home-lives made up of lots of passions, hobbies, and everyday activities. We want to live in spaces that make it easier and a bit more enjoyable. Homes where we can live, entertain, and enjoy our hobbies without the mess and clutter. 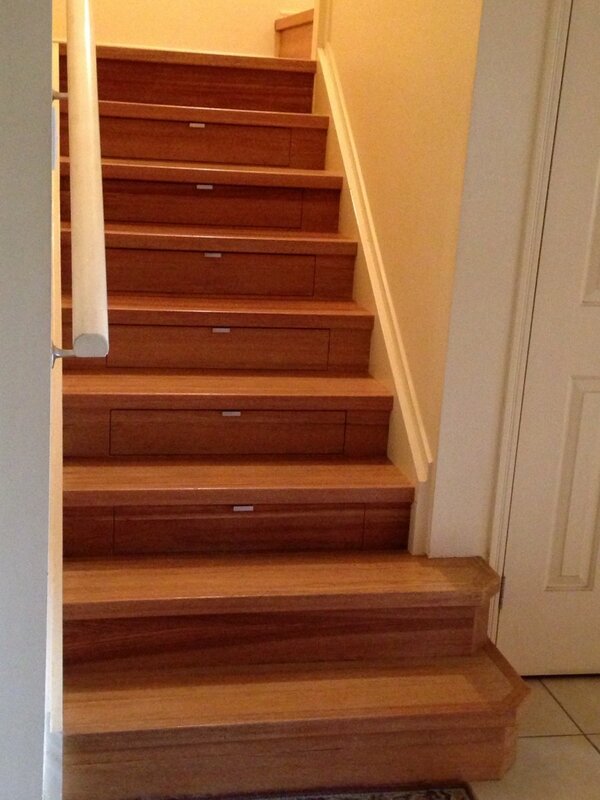 The InStep Drawer℗ is a storage solution utilizing the valuable storage space under new or existing staircases. Being organised makes your home more beautiful. InStep Drawers℗ makes your home more productive and an inviting place to live because it's functional, organised and clutter-free. You can control the chaos and manage your storage needs by utilizing the dust-free storage space in each drawer. Have items close-by when you want them and easy to put away when you are done. An InStep Drawer℗ is deep to provide plenty of storage space for your shoes, desk accessories, technology and gadgets, board games, household tools, emergency items such as torches, batteries and candles, your hobby's and craft, CD's or DVD's, sports equipment, toys, pet accessories, your newspapers, magazines, photographs and slides, collectables and other memorabilia, travel maps and holiday brochures, just to name a few ideas. Everyone has different possessions and different possessions can be stored safely in an InStep Drawer℗. No magic involved, just close the drawer. "InStep Drawers℗, storing your little pieces of life"
© 2019 Stairpro. Web Design Brisbane.